I make Oistein and Pakarangs words mine, no doubt. I'm very impressed. The nice thing is that we move into the dark season, and so can go out and practise..., to get up to your level. Very grateful for the comments from you both. 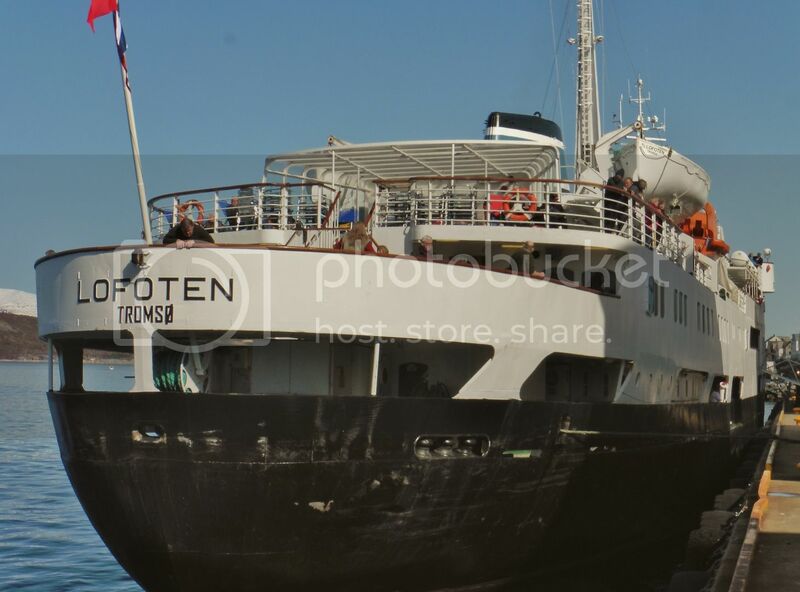 "Lofoten" southbound to Tromsø last night. This is just ----- well, perfect is a word that seems to weak to describe the beauty of the image! I need you to give me a photo-course some day! Saw that "news" as well.... and thought, waow, that is sad news to hear. And, Ralf says it so extremely well - she will be the end of all that was good about Hurtigruten. Actually, Ralf is putting all my thoughts into that perfect reply! I agree with the sentiments expressed above although for me her disappearance will mean no more coastal voyages (too many passengers) for me. If she is removed, maybe she could have another life somewhere but my concern is that she will lie in an Asian bay slowly rusting....but that may be too pessimistic. If she can go the way Harald Jarl did - good. Classic Azimut photography - brilliant. Re the earlier comments - and just in the interest of balance - yes, it will be terribly sad if the Gamle Dame has to retire, she's beautiful and very special - but my family, English and Norwegian sides, will both continue to hugely enjoy seeing, visiting, travelling on the Hurtigruter of all generations. 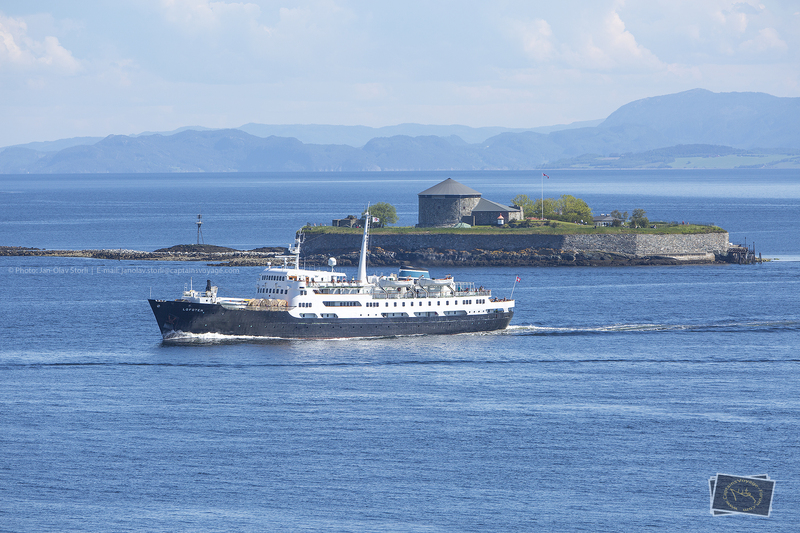 We do each have our favourite ship for different reasons, but what's special for many of us is the Norwegian coast and the people in every port between Bergen and Kirkenes, not to mention the huge variety of people that travel on the ships. It would also be a shame to lose sight of the fact that for many of us the ships are a lifeline to the north, saving thousands of miles of road travel and keeping our families within reach. I noticed that it is common to draw very soon a worst case scenario in a discussion, so that the others are shocked in a way of "no, we wont let it to come that far" to find then a compromise. In Germany we are more polite and anticipate possible compromises in the beginning of a discussion in order to not offend the other party. Well, it seems that each country has its own way to discuss....In France we go on strike!!!!! Absolutely wonderful image - so classy and timeless. Absolutely perfectly captured and processed. That is a well executed image! 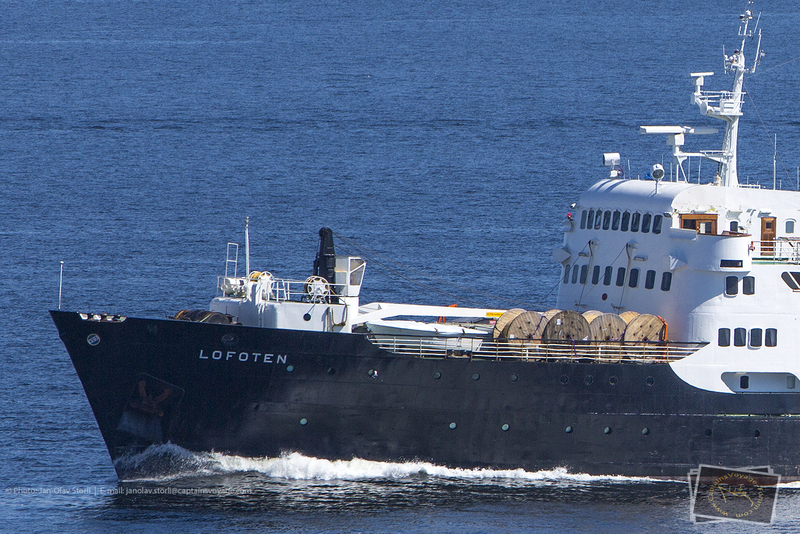 It's really hard to believe that LOFOTEN would become the last old-generation ship to survive all fleet-modernisations up to now. One thing that strikes me as I drown myself into the beauty of the ship, and image, is that this would be an awesome image to see printed on a large format and hung up in a museum, city hall or any other large building. The old lady is showing scratches and some paint loss - not surprising. Still looks the best of them all. I guess Lofoten is bound to get more scratches when compared to her younger sisters... without thrusters in every end, she is bound to bump and slide along so many docks. 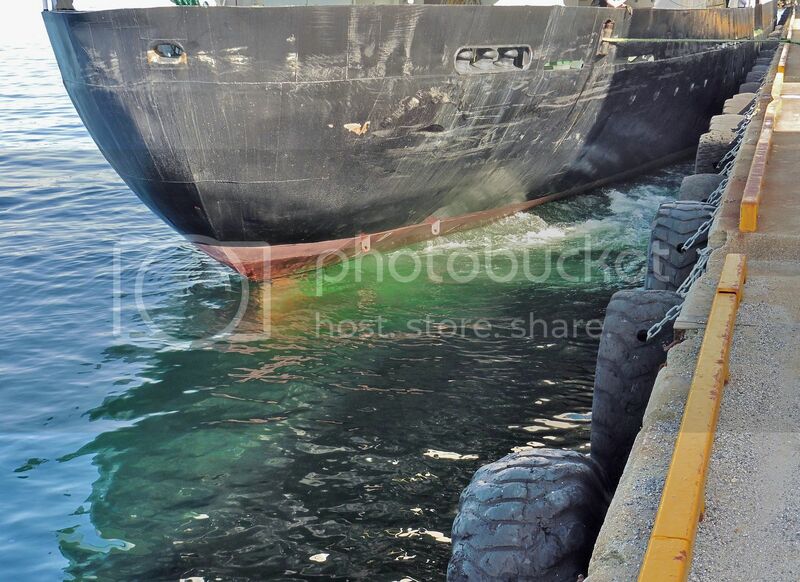 Actually, it looks like there is a tire impression on the stern as well. 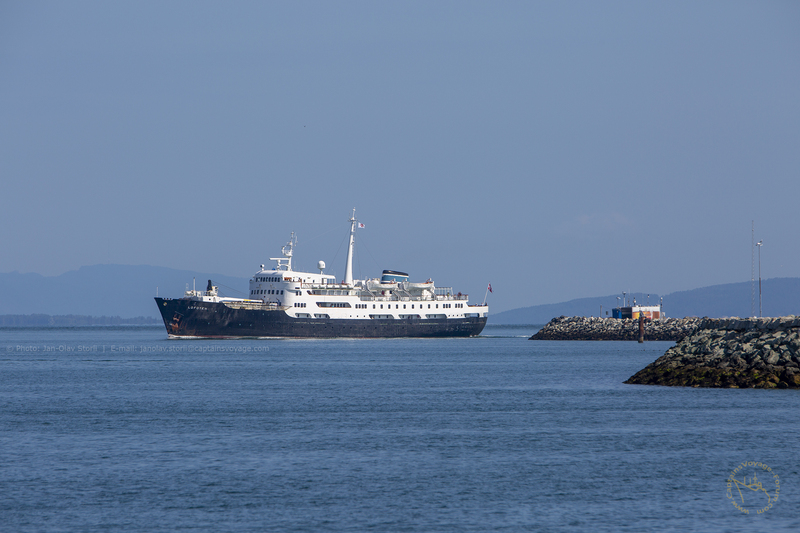 It will be a sad day when this veteran-ship sails her final voyage as a Hurtigrute - hopefully to her next, bright stage in life. 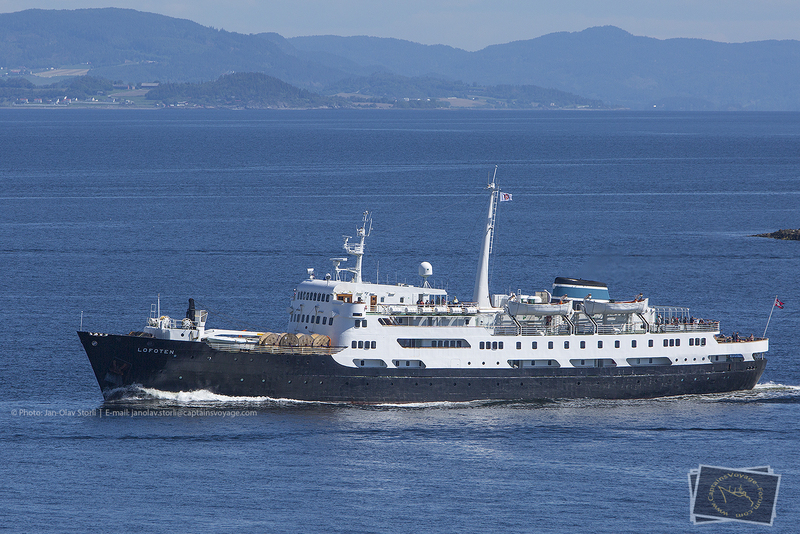 I wonder what the plans for the ship is, after end of service in Norway. I hope and pray she won't disappear out of the country. Or can they sell it from Norway, when she is protected? I especially loved that last shot.... the flag deck and stern of Lofoten super sharp and the background land in soft focus. And the light even elevates the images too. It's one of those images that makes me feel "I would like to be right there". Nari, please explain. 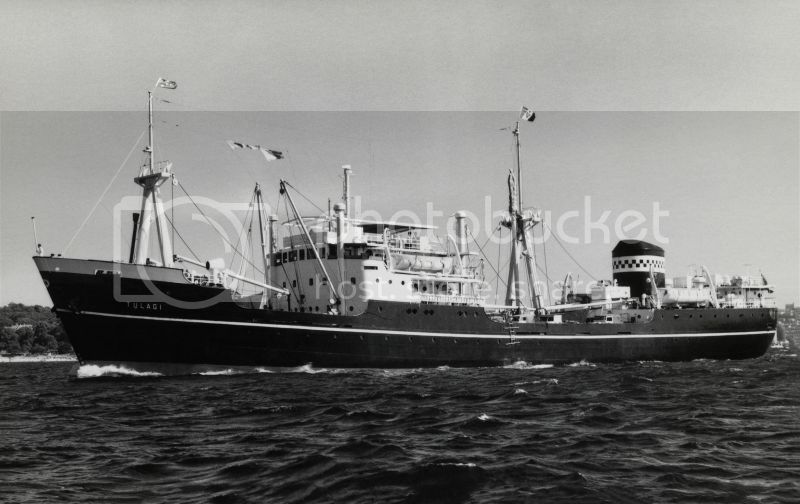 According to wikipedia, mv tulagi had a short life and sunk in 1944 torpeded by a german submarine. Easy, Ralf ! Tulagi 1 was sunk in 1944 (the year I was born) by a japanese sub. All except 3 were drowned, those three managed to escape -to relative safety. 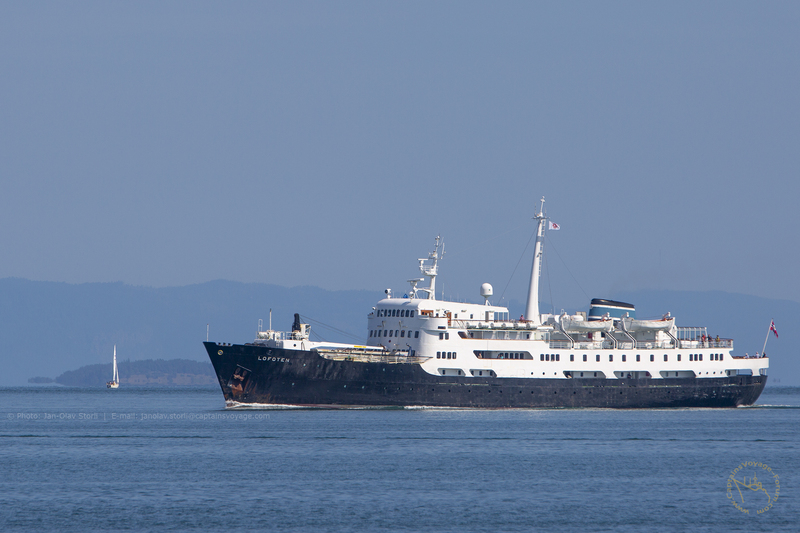 My Tulagi #2 served us well covering vast open ocean in the process every 3 years, taking us on compulsory leave. A beautiful ship in all respects - carried 12 passengers in comfort, and on one trip we did, carried about 10 huge timber logs from the deep jungles of Tenaru. Watching them swing aboard after being dragged out from the shore by a launch was rather awesome. Each one was lowered into the aft hold with no incidences occuring...and it was a major affair with all 12 passengers rather nervously watching the process; each log swung wildly as the derrick lifted it dripping wet on board. May I post some images of the Lofoten from a beautiful summers day in 2015? 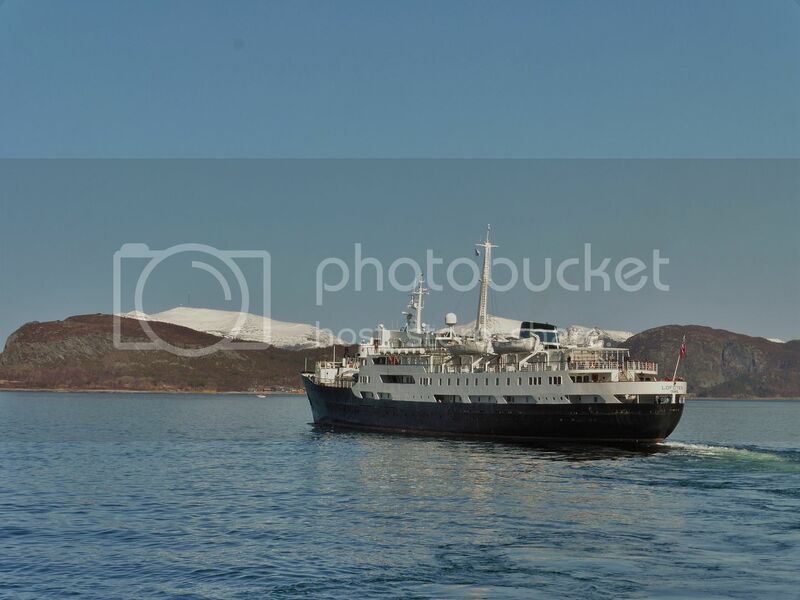 Thank you for posting these pictures of another favourite ship of mine - after completing 6 round voyages from Bergen to Bergen, from 1997 to 2018,she holds many memories but those of the Tualgi were more fun and personally much better for me, as she was always "our ship". Cargo on the foredeck ....... yessssss! Oh yes, more flash-backs from that oh so busy summer of yours, pakarang. Lofoten AND Munkholmen in the same photo is guaranteed to please me as you well know ...AND the cargo that is delighting Clipper as our added bonus image! "Lofoten" south Tromsø strait tuesday night.